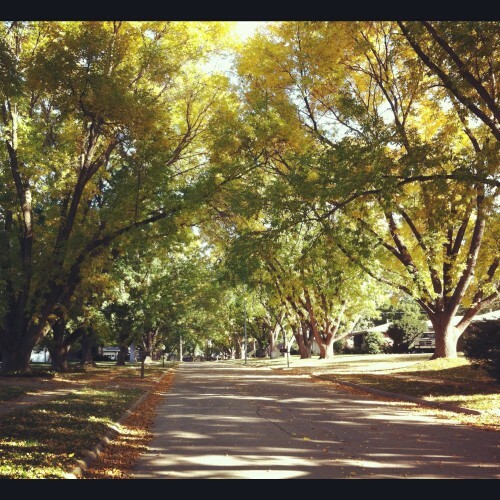 Fall has officially arrived, and what a beautiful Fall it is. Some of my favorite parts of Fall include the cool crisp Autumn mornings, hoodies, all things pumpkin, soups, stew, and chilis, freshly baked breads,Â openedÂ windows, bonfires, the leaves changing colors and the sound of the crunching leaves when you’re on a walk. However, as I am writing this we are having more of an Indian Summer than a cool Fall, all week long the temperatures have been in the 80s. Just glorious. Now, I am not complaining but this warm weather is totally throwing off my cravings of soups and stews. A couple weeks ago we got a break in the warm weather so I quickly whipped up a delicious lentil soup (inspired by a whole foods/plant based diet). I LOVE lentils and it wasn’t until a few years ago that I actually gave them a fair shot (lentils really didn’t fall into the meat and potatoes diet I grew up with). One thing I really liked about this soup was that the longer it sat the thicker it became. Allowing the thickened leftovers to become a different meal if served over some basmati rice. This is a soup you could serve to meat loving family members and they won’t even realize it is vegan. NO meat or animal products are needed for a hearty soup. 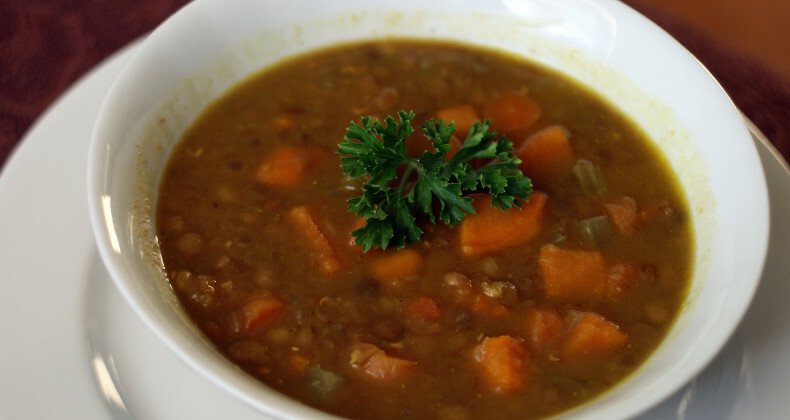 I looked at this lentil soup with sweet potatoes recipe from Two Peas and Their Pod making changes with what I had on hand. Stay tuned for some exciting soup news! Early this summer I was busy in the kitchen making six crock pot soups for a Diabetic Bookzine to be released in December. I want to share some of the soup recipes with you since they were healthy and delicious. I will update you with the details of the cookbook as it gets closer. Â If you’re looking for some diabetic friendly or just healthy recipes check out Diabetic Living’s site. I think a seeded and chopped chili or jalapeno would be delicious in this soup. I was wishing it was spicier when I ate it, but I kept it mild for the kiddos. In a large soup pot, over medium-high heat add the olive oil, onions, carrots, and celery. Sautee until soft about 5 minutes. Add garlic and sweet potatoes. Sautee until garlic is fragrant about 2-3 minutes, being mindful not to burn the garlic. Stir in lentils, broth, water, bay leaf, thyme and curry powder. Cover pot with lid. Turn heat down to medium low and cook for 40-45 minutes. I like my lentils soft so I cooked the soup a little longer until the lentils were my desired texture. Season with salt & pepper if needed.